“[T]he monetary system is a Satanic monetary system. It’s under the kingdom of Satan. There’s no place in the bible for a central bank” (The Failure of Secular Economic Policy, Trinity Foundation Conference on Christianity and Economics, Lecture 5). Many Christians would recognize that there are problems with our economy. 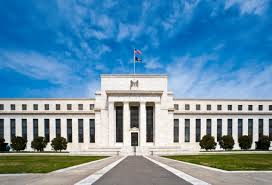 Some would even own that, yes, central banking as practiced by the US Federal Reserve (hereafter, the Fed) is the source of much misery in this nation. But to call the current economic and monetary system of the US satanic would very likely shock even most Evangelicals. Surely that cannot be so. And yet there is a great deal of evidence that central banking is indeed the satanic monstrosity Cooper made it out to be. The aim of the following essay is to make manifest the reason why this is so. 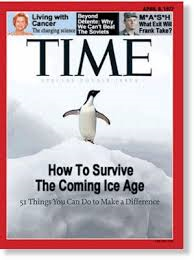 This may sound strange to the ears of those under 40, but once there was a time, and not that terribly long ago either, when the big fear talked up in the media was the threat posed by a new Ice Age. Seriously. It was going to be all blizzards in June, icicles in August, and the end of the world as we know it. The fear of a new Ice Age may strike many today as laughable. But as the 1977 Time cover shows, this was a widespread concern in the late 70s. But somewhere in the 80s, the narrative changed. It was not advancing, but rather retreating glaciers that came to be seen as the premier threat to life on planet earth. Global warming had come of age, and the globalists were quick to promote it. From the mid-eighties until 2009, it was all global warming all the time. But that all changed with Climategate. As a result of the release of emails belonging to researchers at the Climate Research Unit at the University of East Anglia, people came to understand that climatologists had been pulling the wool over their eyes all along. The term global warming was quickly dropped down the memory hole. At that point, one might have supposed that the globalists would give up on using the environment as a platform to promote their socialism. But such was not the case. Physics has something called the law of conservation of energy, which states that energy can neither be created nor destroyed: it can only be transformed from one state to another. Apparently politics has a parallel idea. For instead of slinking off the world stage with permanent shame of face, the globalists simply changed their marketing strategy. The global warming brand name had been sullied beyond repair. New packaging was needed. And it didn’t take long for the world’s clever propaganda meisters to come up with something new. Thus was the world graced with the new globalist meme, climate change. For by your words you will be justified, and by your words you will be condemned (Matt.12:37). Pronouns. They don’t look like much. Small words, one or two syllables. In general, they’re not very noticeable. Most of us don’t think twice about the pronouns we use. And yet despite their generally unimpressive appearance, the pronouns we use are freighted with meaning. Take one example from the New Testament. In the Greek text, the masculine pronoun “he” is consistently used to refer to the Holy Spirit. This is surprising, for in Greek, the word for spirit, “pneuma, ” is grammatically neuter. This would lead us to expect the Greek to use a neuter pronoun when referring to spirit. But the fact that the New Testament writers never refer to the Holy Spirit as an “it” but always as a “he” is strong evidence that the Holy Spirit is a person, not a force. A more modern example is the current battle over the third person English pronoun. Historically, English has used “he” to refer to a generic individual in the third person. But in recent times this has changed. In a 401(k) arrangement, an employees election to defer compensation into the plan has a direct effect on his or her current compensation: the employee is giving up a right to receive a portion of his or her current cash compensation in exchange for a plan contribution to be made for his or her benefit in the form of an elective deferral (emphasis added). The manual from which this quote is taken is has about 800 pages, and nearly every single one of them contains a clunker of a sentence like the one above. Every single time the text requires a singular generic pronoun, the author and editor have elected to use him or her. It is painful to read. To identify as transgender is perfectly normal and should be regarded as such be all. As a result of its failure to unconditionally accept the transgendered lifestyle, society bears a general responsibility for Joshua Alcorn’s death. Particular responsibility for Joshua’s death attaches to his parents and to their narrow minded brand of Christianity. No responsibility whatsoever can properly be assigned to Joshua for his depression and suicide. In the light of Scripture, all four propositions are false. But given the full-court press put on by the gay rights community over the past 40 years to normalize LGBT lifestyles, and given the success they have had at enacting that agenda, many who may not agree with their program have been shamed or intimidated into silence. A Biblical response is needed.